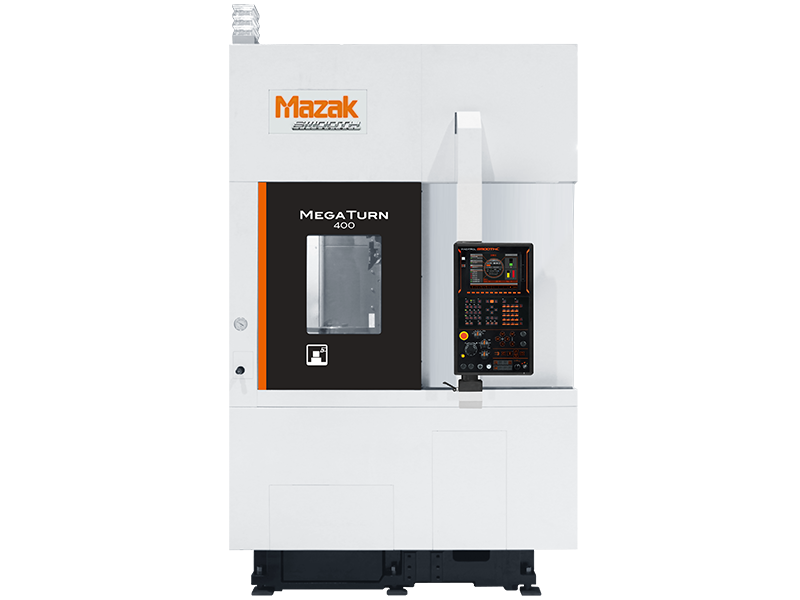 The MEGA TURN 400 is a compact turning center that brings powerful performance and high productivity, especially to automotive high volume applications. The machine employs a high-torque integral spindle/motor with maximum speed of 4,000 rpm that pairs with a high-rigidity drum turret to easily tackle workpieces up to 881 lbs. (400 kg). The standard chuck size for this machine is 12", with 15" and 18" options available. High speed X and Z axes with rapid traverse rate of 1176 IPM (30m)/min.